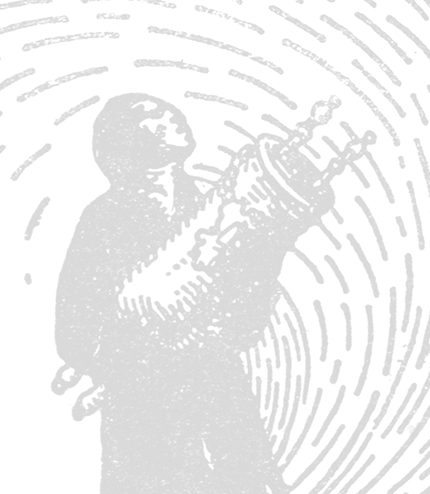 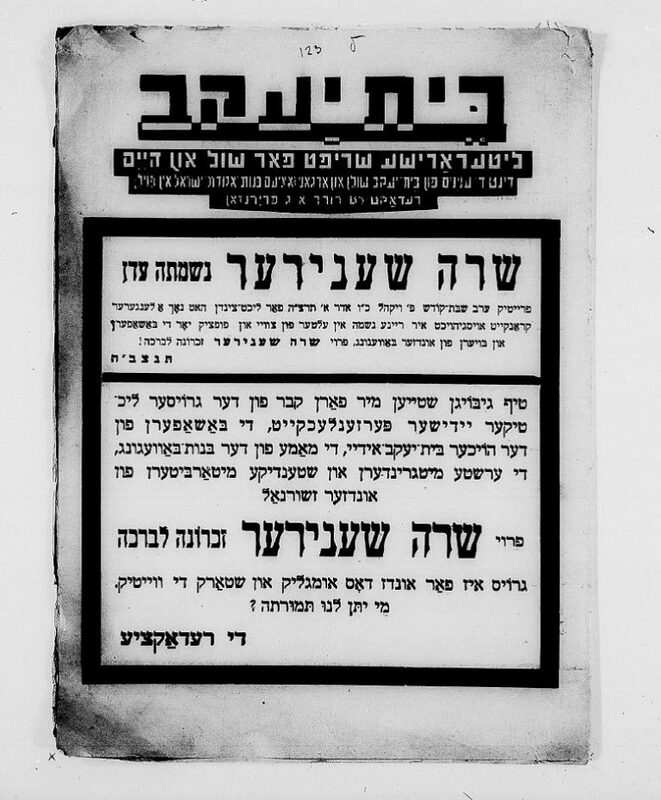 It aims to mine the archives of interwar Bais Yaakov and make this history available to the public through a dedicated website; to provide academic and general public forums for scholarly exchanges among those interested in Bais Yaakov, through public lectures and conferences and on virtual platforms; to revive, restage, and record the interwar musical repertoire of Bais Yaakov for contemporary audiences; to present and preserve the artistic creativity of Bais Yaakov students and graduates past and present, on the website and in other public forums. 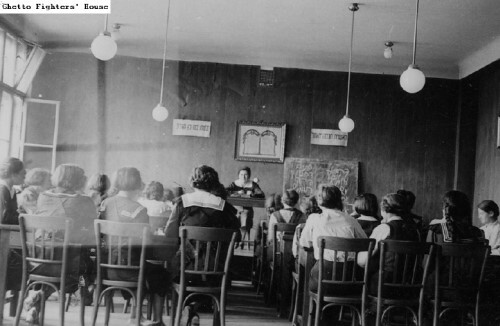 The mission and team members of The Bais Yaakov Project. 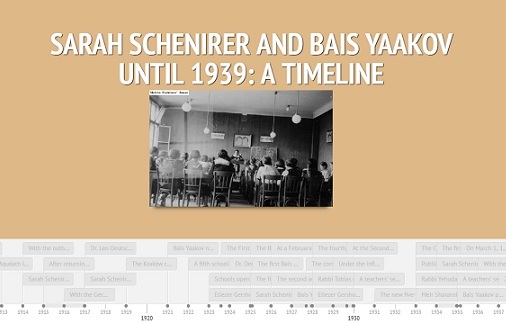 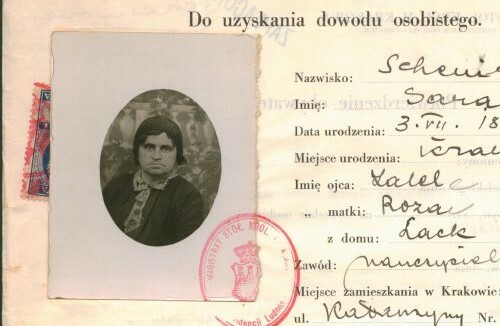 From the birth of Sarah Schenirer to the closing of the Kraków Seminary in 1939 as the war approached, a timeline of significant events in Bais Yaakov’s history. 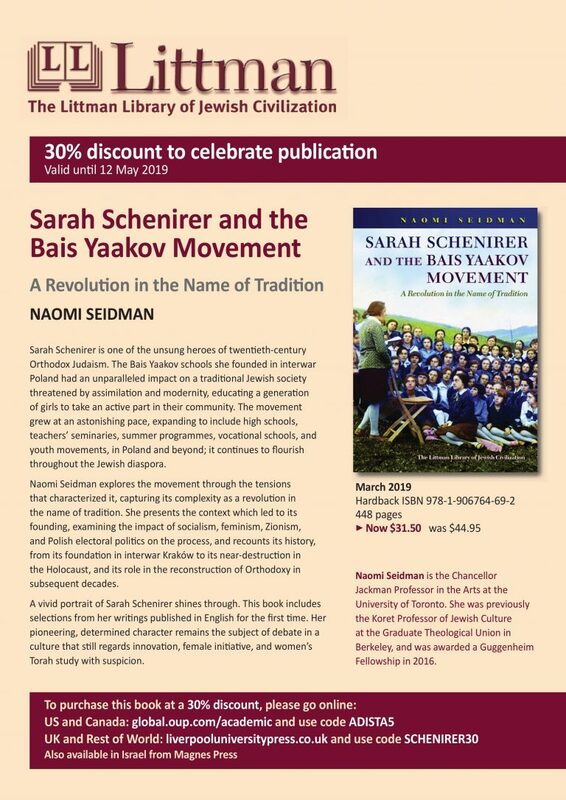 Short biographies of people associated with the Bais Yaakov movement, including Sarah Schenirer, Judith Rosenbaum Grunfeld, Rabbi Yehudah Leib Orlean, Vichna Kaplan and more. 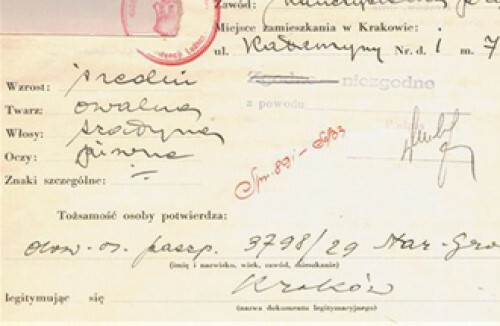 A walking tour of Kraków with locations of significance to the Bais Yaakov movement, and maps of the growing number of schools in interwar Europe. 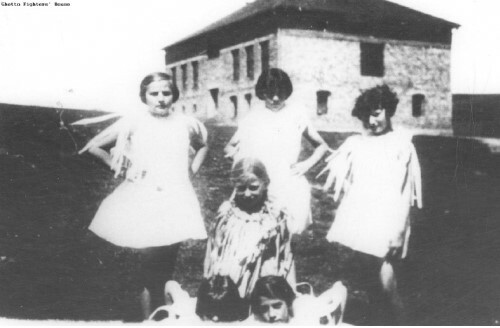 Photos from schools, summer camps, school plays, teacher training programs, and more. 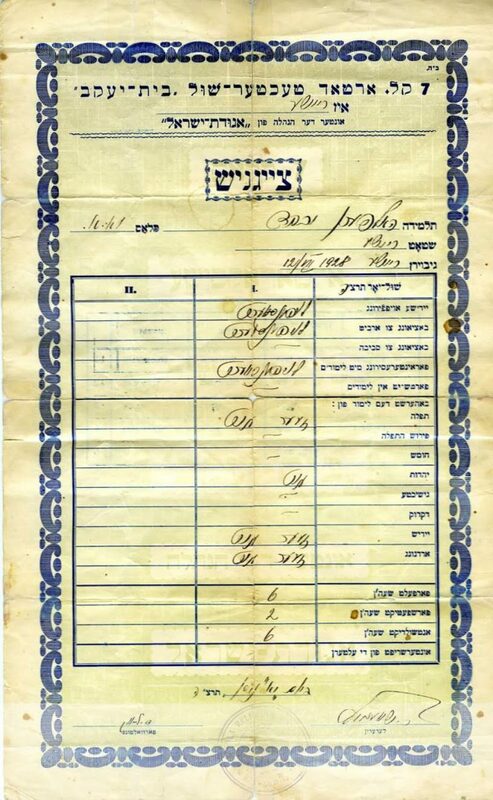 The history of Bais Yaakov as told through letters, reports, school materials, etc. 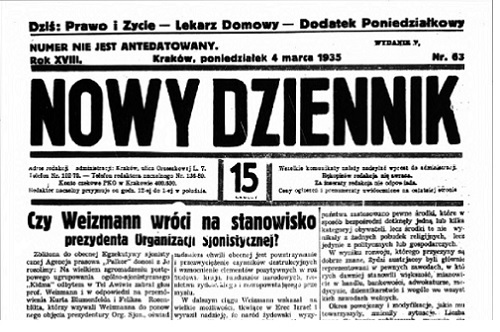 A collection of news pieces about Bais Yaakov from a wide variety of sources in Yiddish, Hebrew, Polish, and English.